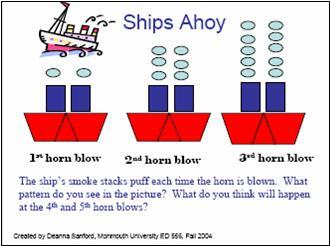 Introduce elementary students to the concept of functions by investigating growing patterns. Visual patterns formed with manipulatives are especially effective for elementary students and allow them to concretely build understanding as they first reproduce, then extend the pattern to the next couple of stages. 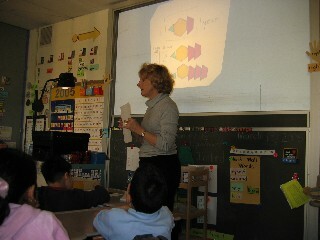 Finally, students explain the pattern in words and try to write a rule that works for any stage. See Investigating Growing Patterns for specific suggestions on using these patterns to help elementary students develop a concept of functions. The article includes activities with handouts that teachers can use to introduce this topic to elementary students. A Function Scrapbook of function ideas is included and examples of function problems created by elementary students will be added as they are completed. 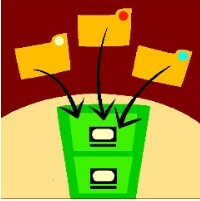 Literature connections and web links to relevant sites on the internet are also included in the article. Function Scrapbook: A collection of growing function problems created by Monmouth University education students is also included as ideas to get your creative juices flowing or to encourage students to think outside the box. 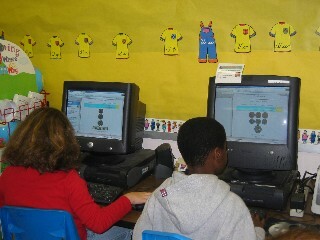 Student Work: Students are encouraged to create their own examples of functions using pattern blocks, pictures, etc. for a visual approach. Look for student examples to be added as they are completed over the course of May.